This water jug is a tried and trusted design which is also perfect as everything from a juice jug to a cocktail pitcher. 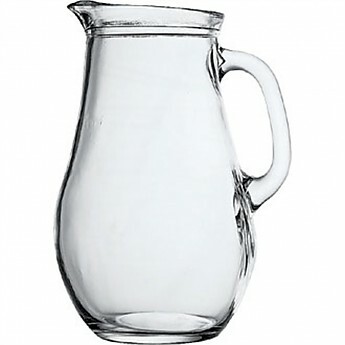 Holding one litre, this bistro jug as a rounded, curvaceous body and reinforced lip. This Utopia jug is suitable for commercial dishwashing and is also available in a larger 1.8 litre size (F860).